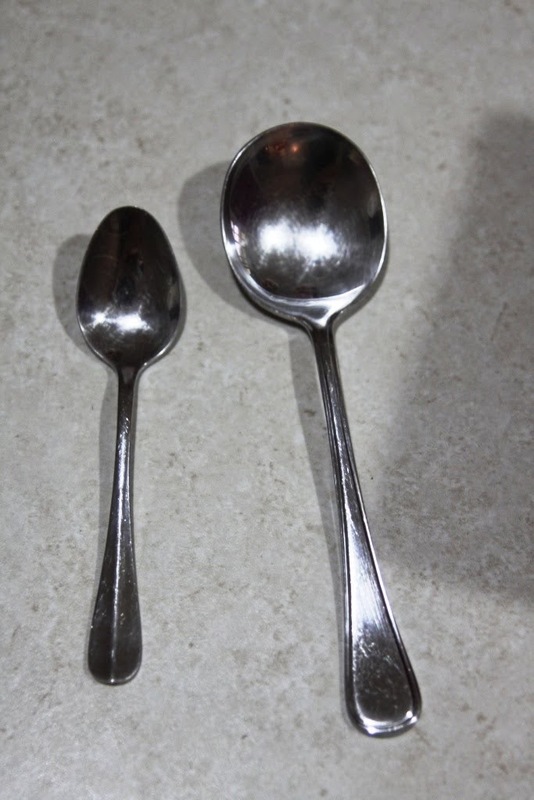 The differences between a teaspoon and a tablespoon are not very hard to understand and remember.The bigger ones are called tablespoons while the smaller ones are called teaspoons. Tablespoons are larger than teaspoons. One measured tablespoon is equivalent to three measured teaspoons. A tablespoon is a type of large spoon usually used for serving. teaspoons were used for stirring tea or coffee. 1 tablespoon = 3 teaspoons,1 teaspoon = 0.33 tablespoon. 1.Bar spoons (equal to teaspoon). 2.Coffee spoons ( smaller than teaspoon).